England U20 International Reiss Nelson hit the ground running minutes after coming on to the pitch in Germany. Reiss Nelson made his Bundesliga debut for Hoffenheim and scored the German club’s only goal as they lost 2-1 to Fortuna Dusseldorf. 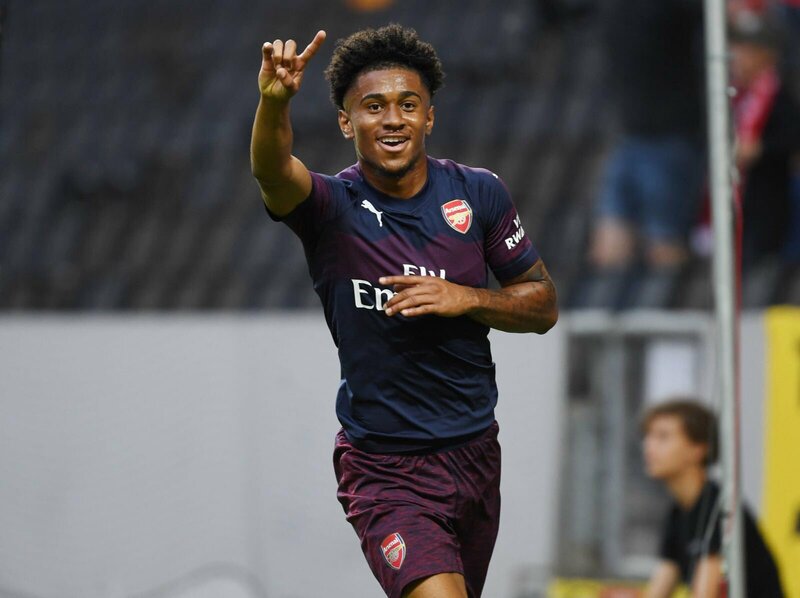 Nelson was surprisingly loaned to Hoffenheim despite his impressive performances in the concluded season as well as the pre-season, but the loan move is seen as a positive one for Nelson’s development as he would probably be getting more playing time there than at Arsenal. He would also acquire more experience playing in a new league for a competitive club with different teammates. Nelson is just 18 years old and is seen as a future prospect for Arsenal. Nelson will now be hoping his goal gets him into the starting lineup as he has settled in well at his new club, a UEFA Champions League debut against Shakhtar Donetsk on Wednesday could follow which would be a huge milestone in the teenager’s career. Reiss at the back of his mind will also be hoping that his parent club,Arsenal is watching his performances and maybe in one or two seasons, he can get back and progress with them.